I started this blog back in 2012 as a way of keeping track of my thoughts as I navigated those early days of motherhood. I wanted somewhere to record memories, somewhere to share what I’d learnt and, most importantly, somewhere I could make sense of all the changes in my life. Becoming a parent for the first time has to be the most life-changing things a person can go through. It turned my world upside down, put my emotions into overdrive and turned me into a nervous wreck. And yet, I made it through those first few months unscathed. I found that when I was stuck on the sofa breastfeeding, I read a lot of blogs on my phone. I loved reading about how other parents chose to raise their kids, how they handle difficult situations and how they made sure they were being the best parents they could be. I also loved looking at beautiful photographs of kids exploring nature, of stylish family homes and of special family moments. I loved reading not only the serious blogs that offered advice but also the funny stories and mishaps that happen along the way. And that’s what I wanted this blog to be. I want it to be a record of my family, a place where I can say this is what we did and why but also this is what went wrong. 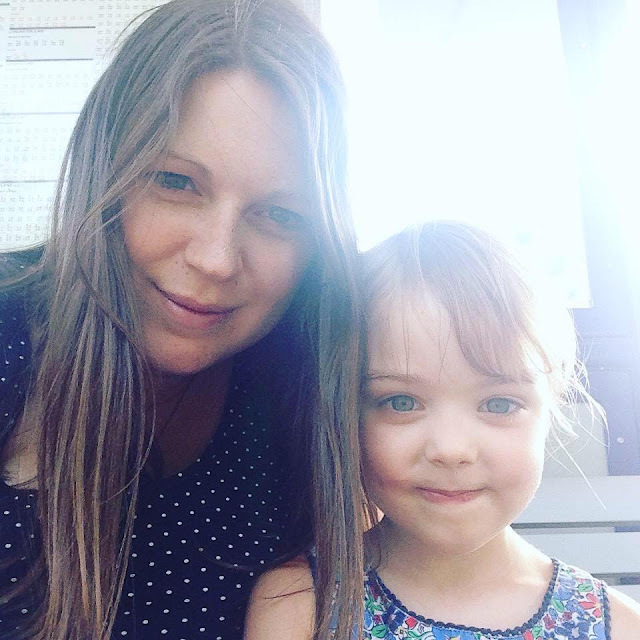 Parenting isn’t easy, life is messy and sometimes things go wrong, I want this blog to reflect that just as much as it captures those perfect moments I want to treasure forever. I love to write and this blog gives me the chance to do just that. I have been married to Laurie for six years, we have a four year old daughter called Ebony, a cat called Bear and we are about to add a new baby to our family. What I write about on my blog is dictated by what’s going on in my life at the moment. This blog is a mixed bag of posts about motherhood, veganism, interiors and adventure. There’s no plan or schedule, I just write about whatever is in my head. In recent months, that’s been pregnancy but I expect soon this blog will become heavily populated with posts about newborn babies and the struggle of having two kids to look after. I once worked as a charity campaigner and I absolutely loved it. There is nothing quite like doing what you love for a living and fighting for what you believe in. When Ebony was born, I realised I didn’t want to be apart from her just yet, so I gave up my previously perfect job. And now I have a new equally amazing job as a freelance copywriter. I specialise in pregnancy and parenting writing, but also write about other things. Being paid to write is a dream come true. If you’d like to talk to me about my work, you can reach me on hello@watchingyougrow.co.uk. In fact, if you have any questions about anything, feel free to get in touch on the above email address. It’s always really lovely to hear from readers. Thank you for reading!